Planning a trip to Walt Disney World Resort in Florida? If you’re traveling with children, read these ten essential tips for making your trip a success. Traveling to Walt Disney World means fun for kids and lots of planning for their parents to make the most of this enormous, iconic and crowded resort. But a first time visit can be daunting. I recently took nine-year-old Son and six-year-old Daughter in late-February. While it wasn’t the official school vacation week, it was plenty crowded and warranted expert planning ahead of time. Since I booked our first trip to Disney only three weeks beforehand, I had to scramble to determine the best approach for a three-day adventure. Suffice it to say, more advance planning is the best way to go. However, I’ve assembled ten tips and some down and dirty advice to help families traveling to Disney for their first time. One of the smartest moves I made was to post on Facebook that we were visiting Disney and ask for any tips from my friends on how to visit the parks. Posts back ranged from “In a line, move left since people tend to move to their right,” to a detailed prescription of which rides to visit, how to use FASTPASS (see Tips #2 and 7), and where people stayed. What was especially valuable was advice from a mother with a son in my daughter’s class who could advise whether a ride was too scary for their age. This kind of particular advice is much more relevant than what you’ll find on typical Disney sites. In fact, one challenge I encountered was understanding which rides might be appropriate for children ages 5-10 who are beyond the little kid rides but maybe not quite ready for Space Mountain. I also checked in with a friend who recently started Mousecalls Disney Planning to help families plan their trips. She’ll provide everything from dinner and hotel reservations to overall guidance based on your specific needs. Here’s a glossary so you know the Disney lingo before planning or arriving at the resort. Attraction – Disney’s word for all rides because some are more show than thrill but with the Disney entertainment-value, they’re all a delight. Touring Plans – A fee-based web site and app with accurate wait times and guidance on park crowd status plus touring plans based on duration of stay, family ages, etc. My Disney Experience – Disney’s free location-based app that let’s you explore, save individual plans, and check wait times. Scooter – Motorized chair-scooter vehicles available at the entrance to parks. Perfect for grandparents. Rental fee is approximately $50. Monorail – Elevated tram service between and within parks and hotels on property. On property – Hotels that are connected to the major resorts and served by the Monorail tram. 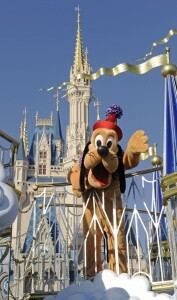 Disney Hotel – Hotels that are within the Disney property and served by free bus service to the major resorts. Boardwalk – A fun boardwalk reminiscent of Atlantic City connecting some great on property hotels, including the Boardwalk Hotel, and connected to EPCOT. Without a reservation, you won’t be able to get into any of the sit-down restaurants in the parks. Period. And we couldn’t get any reservations within a week before visiting. So, make them early – as soon as you book your flight. I know, it’s hard to plan your daily itinerary far in advance but worth it for decent meals without the wait. As for walk up restaurants, yes there are plenty and we were able to get decent food and seats at both Animal Kingdom and EPCOT. Not so at Magic Kingdom. It was so busy that finding dinner on the night we hoped to see the fireworks at 8 pm was frustrating and futile. If you can’t get a reservation at Magic Kingdom, I suggest visiting earlier in the day, leaving and eating dinner somewhere else, then returning for the fireworks; or packing your own food. You can’t do it all, sorry. At least not with happy kids. So choose, ahead of time, your must-see attractions for each park. Pick the rides you want to target and make those your goals. The distance between attractions can be far and you may peter out before you’ve hit what you really wanted to see at that park. Disney rides, as you would expect, are over the top. Many are more entertaining than frightful thrill. And since the entertainment value is stellar, that was fine for us. But those with thrill are very thrilling and can be quite frightening for young children. So, it’s hard to assess. Kid Ride Fact: Children under 7 are not allowed to ride without a parent. So, if it’s too much for you, the kids can’t ride it either. The scariest ride we took was the Test Track at EPCOT. The speed for the final spin around the track is as fast as a modern whipping roller coaster, so be prepared. But since there are no hills or loops, it’s manageable. My kids loved it. I nearly got sick but since it was short, well, that was okay. We opted not to do the Space Journey, even the “less intense” version. There is varied guidance on the fright level here and I opted for the more conservative approach, mostly for me. But Test Track more than made up for it. Kilimanjaro Safari (head straight for this first and do the Pangani Forest Exploration Trail while you wait for your FASTPASS time). Park maps are available at hotels, when you enter, and online. Take some time beforehand to assess the locations for the attractions you want to visit and plan a wise route. Here’s the thing: Resort maps and apps are organized by attractions and dining. But each theme park is organized into multiple themed areas, each with multiple attractions. Magic Kingdom: Main Street U.S.A., Fantasyland, Frontierland, Adventureland, Tomorrowland, etc. Animal Kingdom: Africa, Asia, Rafiki’s Planet Watch, DinoLand, etc. EPCOT: Future Worlds east and west, The Land, Mission: Space, World Showcase, etc. Hollywood Studios: Echo Lake, Streets of America, Sunset Boulevard, etc. It takes time (and foot power) to move between each theme area so it’s best to do all the rides you wish and grab something to eat in each theme before moving onto another. Visit the themed areas in the order of your must-see attractions. We could never understand why people were waiting in an hour-long line when we breezed into the briskly moving queue in the FASTPASS line. It didn’t dampen our schedule to plan around when rides were available. Often, the time designated to arrive by a FASTPASS ticket is within an hour’s time or so, allowing you to enjoy smaller attractions at that theme area in the meantime. At the entrance to each attraction, you can view when the next FASTPASS designated times will be before choosing to get one. Beware, you can’t accumulate too many or conflicting FASTPASS times. I suggest getting FASTPASS tickets for the rides you want to take when you first enter a themed area. You can browse other attractions in that area while waiting for your ride time. Some people advocate sending a “runner” to get FASTPASSES all over the park at the start of the day. But it would be tiring and potentially inconvenient to criss-cross the park or move in and out of theme areas to meet certain ride times given the large distances to walk in the park. This is best for your top two attractions if they are in different areas of the park, you get a late start on the day, or want to make sure you get a time before they run out. By early afternoon, some popular rides have designated all their FASTPASS times for the day or are running into the evening. Every time we needed information, we asked the first Disney staffer we could find. Each time, they knew the answer. Regardless of whether the employee sold popcorn, worked in a restaurant or at a ride, he or she was always friendly and gave us the information we needed. Often, especially at Magic Kingdom, we had trouble finding our way from one themed land to another. There are many shortcuts and asking helps you find them. Wear sneakers. There’s no way around lots of walking. If you or a loved one isn’t up for it, rent a scooter. There’s also no getting around the queues, even with FASTPASS. Those lines simply move quickly. Fortunately, each attraction features a well-designed theme waiting environment so there’s plenty to look at. But by our third day, we’d invented a fun waiting game to see who was the first to find 10 similar items on the people around us or walking by (pink, blue, stripes, dresses, shorts, cameras, etc.). It helps entertain kids who tire of lines so quickly. If you haven’t gotten this message already: The parks have a lot of distance between them and between the attractions within each one. In other words, plan to walk A LOT. Wear sneakers and bring water or be prepared to buy it. Not only do you walk a lot, you stand in line a lot. Even with a FASTPASS ticket, you spend much of your time queuing up. So, there’s standing and more standing. On day three, we finally learned that a good formula was to rest and snack between each big theme area e.g. Africa and Asia at Animal Kingdom or Land and Sea at EPCOT. This gives kids much needed time to move around and just be after standing in a structured line. Remember, kids naturally want to run around. Forcing them to stand in line after line takes its toll. Pair it with unstructured play time for everyone’s peace. Pack snacks in a backpack or if you want to travel light, you can pick up ice cream, popcorn, and little snacks around every corner at the park. I often spent no more than $10 purchasing a water bottle and ice creams or popcorn for the three of us. We stayed at the Wyndham Hotel, a Disney hotel that provided bus service to all of the parks. It was also across from Downtown Disney. This was a big plus because we could rest after a day at the park and instead of boarding another bus, simply walk across the street and access multiple restaurants. Rainforest and T-Rex cafes are terrific places for kids, each with huge animals that go crazy when the lights and thunder start up every half hour or so. Kids can build race cars outside the Lego store and race them over and over again to their heart’s content. This is a good place to wait for a table at T-Rex café if you didn’t have a reservation. Afterwards, stop by Ghirardelli to pick up a free chocolate offered to everyone who stops in. Have more advice based on your Disney experience? Please comment and share!